Hi! My name is Kelsie Clark and I am currently a second grade teacher here in Phoenix and I am looking for an extra side job. 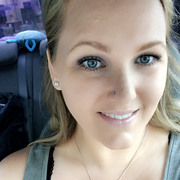 I have been a nanny for 2-year-old twins, a nanny for an 8 year old, I have worked at a few daycares, I was a teacher's assistant at a Montessori school, I have been babysitting (various ages from infant to 10) since I was 18, and last year I was an educational assistant for 4th grade. I will be done with the school year in 2 weeks and will have my summer completely open and available. I am very outgoing, artsy, and active. I love sports, games, and crafts! If you have any questions please feel free to contact me either by phone or email. Thank you! Kelsie doesn't have any reviews yet.